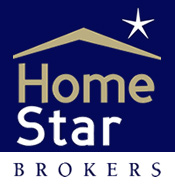 HomeStar Brokers - What is a Comparative Market Analysis? Comparative Market Analysis is used to help evaluate what your home is worth. How your home compares to the competition? It looks at both homes that are currently listed and also those recently sold. The purpose is to find the best and highest price that will make your home competitive on the open market. A CMA includes information such as number of bedrooms, baths, square footage, age of home, tax information, and other information regarding your home. The CMA will compare properties that are similar to yours that are on the active market and sold within a time range and area that the agent specifies in the analysis. The CMA summary will include the comparable properties that were used in the analysis, both active and sold. At the end of the CMA, is a summary that includes the price per square foot that properties sold for. This gives you an idea of the price per square foot that your property may be worth. This will also give you a pretty good idea of what the market looks like at the time.